Fantastic idea to inlay the sentiment. Gorgeous card. Great new release from Pink and Main. Love this fabulous card. Thank you for the inspiration. What a pretty card! 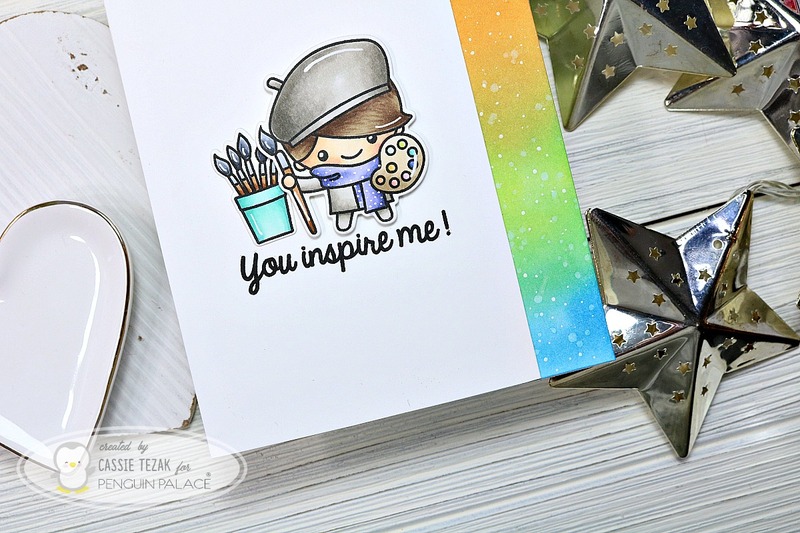 I love the colors you used and the way you inlaid the sentiment- really gives the card a cool effect! Great idea to create the design around the sentiment inlay! Will have to try this technique! Thanks for sharing! The cut out is perfect! Gorgeous card!! I love the stamped balloon background!! Love it! I love the fun patterns on the balloons, especially the polka dots! Great idea to inlay the sentiment; the low profile makes it easily mailable. Oh, what a pretty card! Lovely colors and composition. Love the cutout for the sentiment. 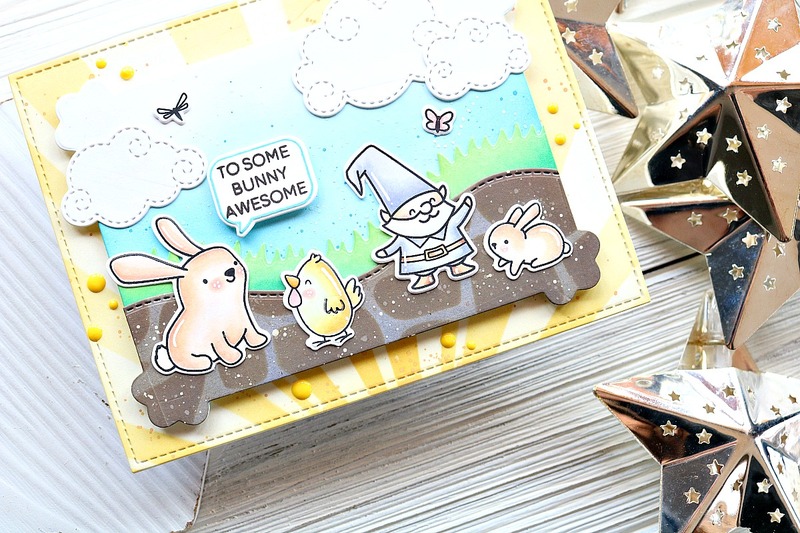 Love that cut out on the card and the soft colors you used. Great inspiration! Such a fun card, love the embossing on the balloons. Beautiful Card! 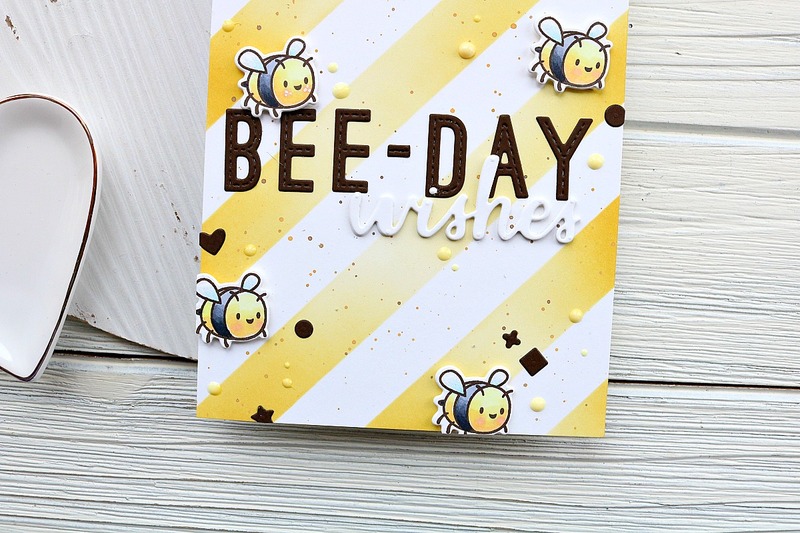 I love that you did embossing on the balloons and then inlaid the celebrate die and highlighted it as well! Thank you for sharing! The gold looks great. I like how you cut out the sentiment. Love the inlaid sentiment. Very nice! Lovely design on this joyous card.